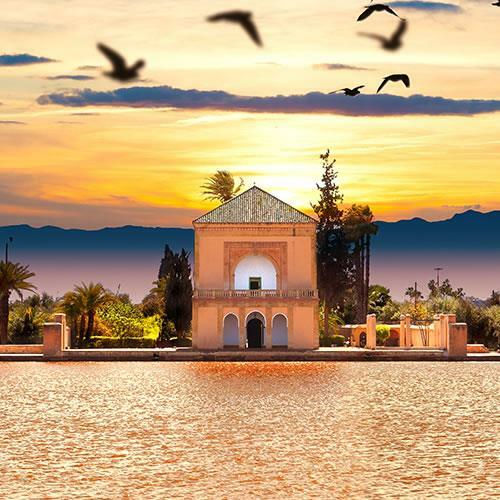 Marrakech has a long and storied history tied to the tragedies and triumphs of the sultans and kings of Morocco. 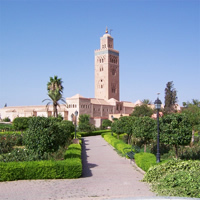 Along with Fez, Meknes and Rabat, Marrakech was one of the four `imperial capitals of Morocco`; some say Marrakech was the most important. The heart of the fortified Old City is an area called The Medina, filled with historical buildings and great shopping opportunities at the myriad souqs. The Medina, along with Menara Gardens and Agdal Gardens, have all been named UNESCO World Heritage Sites. The thriving center of town is the Jemaa el-Fna, which explodes with activity and color after nightfall. Marrakech is also a jumping-off point for tourists to explore the beautiful Atlas Mountains. This once in a life time get away is at your grasp with this customizable package that begins in Spain and ends in Morocco. Start in Barcelona (with the outlandish architecture of Gaudi, the dramatic Gothic Quarter and amazing food, music, style, and good times) and then hop a flight to Granada (located in the foothills of the Sierra Nevada mountains. It`s known for grand examples of medieval architecture dating to the Moorish occupation, especially the impressive Alhambra) then another flight to Casablanca (A vibrant metropolis with the awe-inspiring Hassan II Mosque - one of the largest in the world and the largest in Morocco, and with the tallest minaret on the planet; the Old Medina and the Shrine of Sidi Abderrahman) and then one last flight to Marrakech (with several historic and architectural sites, as well as some interesting museums). This is a flexible vacation package. Select your number of nights in each city, desired hotel and activities. 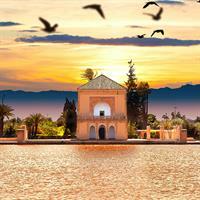 This package is offering two of Morocco`s unforgettable cities, waiting to be explored. Begin in Marrakech (with several historic and architectural sites, as well as some interesting museums) and then hop a flight toAgadir. This is a flexible vacation package. Select your number of nights in each city, desired hotel and activities. Two Jewels of Morocco! Visit Marrakech (Core of the Berber culture with its medina, the Jemaa el Fna, Morocco's UNESCO-recognized platform for halqa, the stately Koutoubia minaret and Majorelle Gardens) and Casablanca (A vibrant metropolis with the awe-inspiring Hassan II Mosque - one of the largest in the world and the largest in Morocco, and with the tallest minaret on the planet; the Old Medina and the Shrine of Sidi Abderrahman). Travel between them by flight. 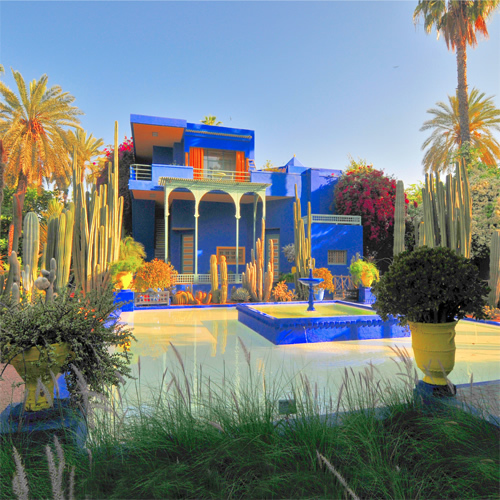 This is a flexible Morocco vacation package. Select your number of nights in each city, desired hotel and activities. 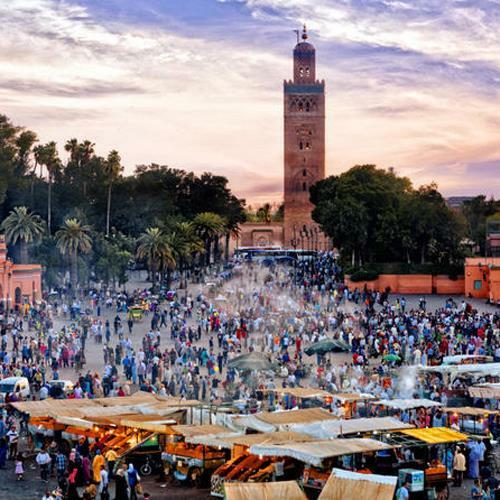 Enjoy a visit to the core of the Berber culture, Marrakech is a fascinating city, offering several historical, architectural sites and some interesting museums. One of the most important tourist attraction is the Jemaa el Fna, Morocco`s UNESCO-recognised platform for halqa (street theatre). Musicians, dancers, and story tellers pack this square at the heart of the medina (old city). Three fascinating cities spanning two continents; Europe and Africa. 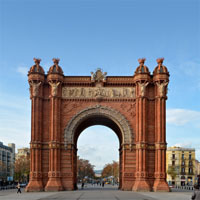 Begin your adventure in Barcelona (with the outlandish architecture of Gaudi, the dramatic Gothic Quarter and amazing food, music, style, and good times), then jet off to Marrakech (with several historic and architectural sites, as well as some interesting museums). Fly back to Spain for your last city - energetic Madrid (an endless source of art, culture, beauty and great food and wine). Flights between cities. This is a flexible vacation package. Select your number of nights in each city, desired hotel and activities. Combine cosmopolitan Barcelona (on the cutting edge of fashion, culture, food and music) and exotic Marrakech (a former imperial city in western Morocco, is a major economic center and home to mosques, palaces and gardens) with a flight between cities. This is a flexible vacation package. Select your number of nights in each city, desired hotel and activities. Take this inspiring once in a life time journey that begins in Morocco and ends in Egypt. Start in Marrakech (with several historic and architectural sites, as well as some interesting museums) and then hop a flight to Casablanca (A vibrant metropolis with the awe-inspiring Hassan II Mosque - one of the largest in the world and the largest in Morocco, and with the tallest minaret on the planet; the Old Medina and the Shrine of Sidi Abderrahman) and then another flight to Cairo (the Pyramids, museums, rich culture). This is a flexible vacation package. Select your number of nights in each city, desired hotel and activities. Venture through Morocco and Turkey with this once in life time vacation package. Start in Marrakech (with several historic and architectural sites, as well as some interesting museums) then hop a flight to Casablanca (A vibrant metropolis with the awe-inspiring Hassan II Mosque - one of the largest in the world and the largest in Morocco, and with the tallest minaret on the planet; the Old Medina and the Shrine of Sidi Abderrahman) and then take another flight to Istanbul (the largest city of Turkey, and explore their dazzling Grand Bazaar, which will give you a taste of the real Istanbul experience). This is a flexible vacation package. Select your number of nights in each city, desired hotel and activities.